The Jupiter JAS710GN (formerly the 669GN) student model Eb alto sax is considered by many to be the best alto sax for a beginner band student. 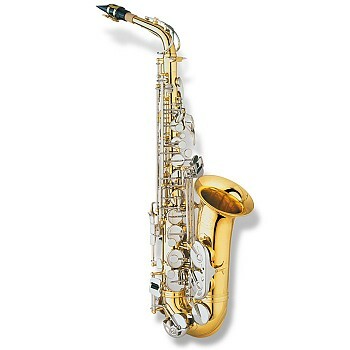 This alto saxophone is made of a brass body with a clear lacquer finish. The nickel plated keys (up to High F) provide durability.